Robert Kubica could be offered a lifeline to remain in Formula 1 in 2019, with Ferrari reportedly weighing up offering the Pole a role as simulator driver – replacing the Toro Rosso-bound Daniil Kvyat. Motorsport reports that Kubica held talks with Ferrari boss Maurizio Arrivabene in Mexico about a potential deal. 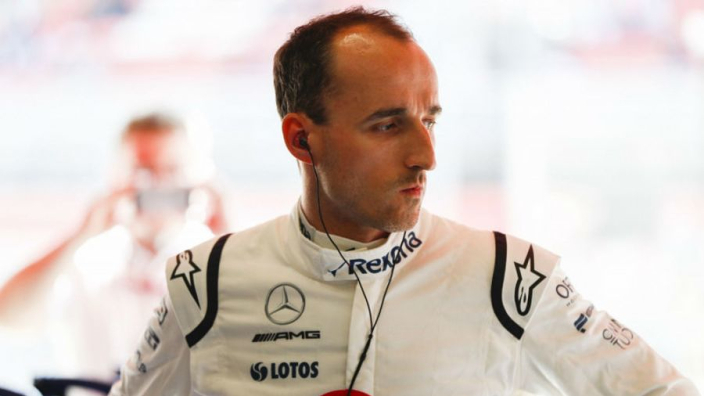 Kubica's top priority remains lining up on the grid in 2019, with Williams his last realistic remaining hope of doing so. He has served as the British team's test and reserve driver this year after being overlooked for the race seat in favour of Sergey Sirotkin. The Russian appears unlikely to be retained next year. Esteban Gutierrez has emerged as the latest candidate to partner George Russell next year, with Esteban Ocon and Kubica also thought to be on Williams' shortlist. Recent reports in Poland have suggested that a sponsorship package behind Kubica has been withdrawn, potentially hindering his chances of taking a race seat at a Williams team in need of investment, with title sponsor Martini set to cut ties at the end of the year. If Kubica does take up a role with Ferrari assisting race weekend operations from Maranello, it would see the 33-year-old join the team some nine years after he was expected to become a race driver. The life-altering injuries he suffered in a rally crash in early 2010 not only curtailed his F1 career, but he has previously revealed that it would have continued with Ferrari. Motorsport reports that Kubica would not be considered as Ferrari's reserve driver if he were to sign a deal – Antonio Giovinazzi would remain the Scuderia's back-up while driving for Sauber.